Bulbine Frutescens also known as snake flower or burn jelly plant is a popular flowering plant ideal for the water-wise garden. This plant is indigenous to South Africa. This succulent plant is fast growing and has long flesh leaves and clasping stems. They form clumps and have adventitious roots and star-shaped flowers with 6 petals are produced in clusters on elongated flowering stems. The blooming time is spring and flowers have yellow or orange colour. The yellow coloured fluffy stamen makes the flower more attractive. While the name of the plant is misleading as the plants do not develop bulbs. Nevertheless the plant is also grown for it’s medicinal value. 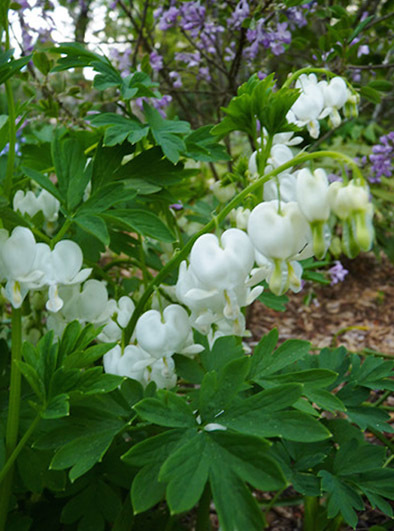 The plant requires the least care and will add beauty to your garden throughout the year. If you are looking for a drought resistant ground cover, then Bulbine Frutescens are the ideal choice. The fruit of the plant is capsule shaped and bears three chambers which contain black seeds. These plants can be grown anywhere as they are drought and frost resistant. They can be grown even in pots kept in a balcony. At my place this plant can survive with very little water, but need exposure to full sun for producing flowers. They can survive in lighter shaded areas. The plant requires at least 20-30 cm of space between them for proper growth and development. In early spring watering once in a week and feeding with compost once in two weeks promotes good flowering. They are good as cut flowers. Bees, birds, and butterflies get attracted to the snake flower. Drought and frost can damage the colour of the leaves of the Bulbine. Prune the plants when they become untidy. Removing the old flower stems will extend the flowering period. This is an evergreen plant and produces flowers, even during winter when other plants are not in bloom. You will need medium or large sized container to grow snake flower plant. Mix potting soil and compost and fill the pot. Keep the pot in a lightly shaded area. After planting make sure that you water it to settle the soil. Water at least once in a week until the plant gets established. Propagation can be done using cuttings or clump division. For easy propagation, select the cuttings that have already developed adventitious roots. You can directly plant these cuttings with roots in the garden bed in a shady area. You can divide the clumps when the center of the clumps starts to slump over. Divide the clump into individual plants and plant them in the desired location. As the plant multiplies rapidly, make sure that you prune them regularly and limit their spreading by cutting back the seeding heads when they are unripe. To propagate the plant through seeds, sow the seeds and germinate them in spring. Once the seedling develops four leaves and good root system transplant them to a new location. This plant can be used as a border, edging, ground cover, for mass planting, coastal gardens, rock garden etc. The fresh leaf of the plant produces a jellylike substance which is used in treating burns, blisters, rashes, insect bites, pimples, acne, cracked skin, etc.